Health Kismet is a company that makes superfood powders. 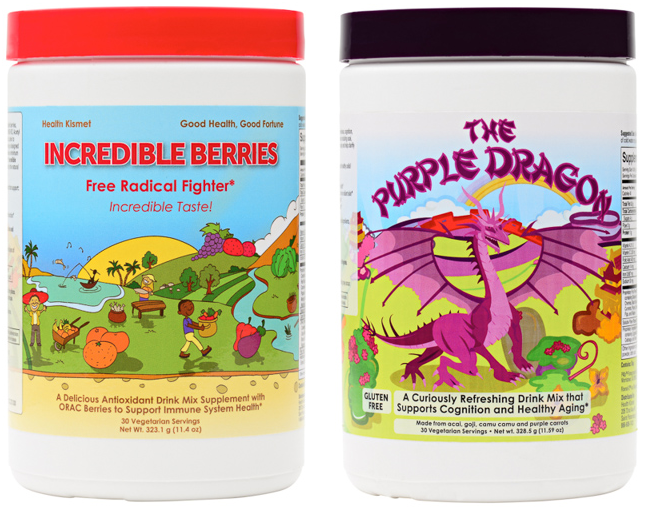 As a bonus giveaway this month, they are offering one lucky winner two jars of their superfood powders! Thank you to Health Kismet for sponsoring this giveaway! Can’t Wait?! Use Coupon Code “aofruits″ to receive 40% off of all Health Kismet Products. This giveaway ends on July 31, 2015. A random winner* will be chosen in a drawing on August 1, 2015. The giveaway is open to all addresses in the USA. Be sure to join Health Kismet on Facebook and Twitter. I need to get more veggies and fruits in my diet and this would be a delicious, easy and convenient way to do so. Yum! I’d enjoy adding these to my workout smoothies.